Cottage/Camp, Single Family - Portsmouth, NH It's time for this sweet cottage to grow up or at least have a big sister! 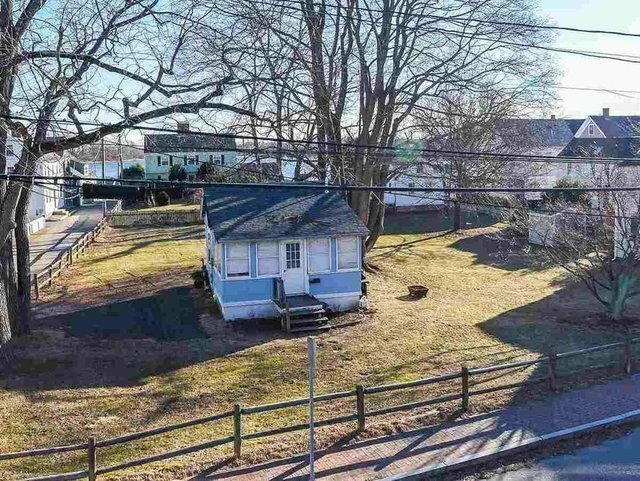 Build your dream home on this rare large lot in Portsmouths Historic South End. This parcel offers water views, ample area for a spacious home with 1st floor master suite and garage plus all the amenities new construction offers like central air yet in the heart of the historic district! With subdivision potential you could build a family compound, 2 + single family homes, multi-family....lots of options! Located within walking distance to downtown Portsmouths over 200 restaurants, shops and art galleries, all 3 schools (elementary, middle and high school), and Strawbery Banke Museum with cafe and winter skating rink. A few streets away is community treasure, Prescott Park which sits along the Piscataqua River and is host of a seasonal Art Festivals including live music, theatre productions, movies and yoga and is home to award winning gardens. Within the South End community enjoy the private South End Yacht Club, Sanders Fish Market, South & Vine wine & cheese shop, Gino's restaurant and Napoli Italian Market!